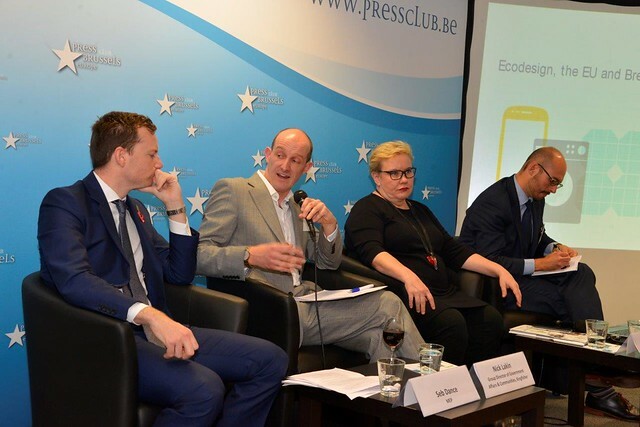 Green Alliance and the Alliance for Circular Economy Solutions hosted a lunchtime debate and launched a new study on the contribution of ecodesign to resource efficiency in Europe. Designing products more efficiently is the best way to reduce waste and improve resource efficiency. Ecodesign can deliver more durable, repairable, resource efficient products, bringing gains for business, consumers, and the environment. Our new analysis shows that simple design changes can make a big difference. The European Commission announced their new ecodesign priorities on November 8, to include solar panels, hand dryers and kettles. The European Parliament has called for high ambition on ecodesign to help the EU transition to a circular economy. Meanwhile the UK has yet to decide whether it will seek to remain in the single market, or favours a 'hard Brexit'. The UK government has pledged to maintain current environmental standards, but when the EU moves ahead on ecodesign the UK will need to match this, or risk losing access to the single market. However, by moving fast towards innovative ecodesign policies, perhaps the UK could gain a competitive edge. This event explored how ecodesign can drive transition to a circular economy throughout Europe. You can read the report, Better products by design. Watch the full recording of the event on YouTube.